Playtimes - We are adding in playtime(s) during the day if you are interested in letting your dog romp with other dogs, or you can request a private session for your dog. We have a large, beautifully landscaped grass area attached to the building ensuring your animal's safe play while in our care. Bath Option - Our wonderful groomer, Jennifer Wilkerson, is available for grooming your pet(s), either during their stay here or at another date. Soothing Music - Our new facility is equipped with an intercom system and music playing 24/7 to soothe the animals. We have purchased CD’s of “Through a Dog’s Ear”, a clinical breakthrough in the use of music for dogs! Joshua Leeds, a renowned authority of psychoacoustics and Lisa Spector, a graduate of The Juillard school have worked together on these series of music that have been clinically demonstrated to deeply relax dogs. This music is twice as effective as conventional classic selections to reduce canine anxiety behaviors. Research conducted using 150 dogs showed that the music on these CD’s induced calmness in 70 percent of dogs in shelters and kennels and 85 percent of dogs in households. This music will have benefit for dogs that have hyper-destruction, recreational barking, separation anxiety, excessive barking, thunderstorm phobias or generalized stress. You can learn more about these CD’s at http://throughadogsear.com and on Facebook, Twitter, Youtube and Pinterest. Security - In addition to the comforts of home, we have installed a high-tech security system and smoke detectors in the entire boarding area. Should smoke be detected, the Fire Department is automatically called, so you (and we) can feel that your pets are safe while they are with us. We also have a generator in case we have a power outage. Health and Wellness - Any pet that becomes sick while boarding will have a complimentary exam done by the veterinarian on call, 7 days a week. You will need to pay for any medications dispensed, or the doctor will call you if they need to do any tests or treatment. You do not have to worry that your pet will have to wait on a holiday or weekend to be treated. Also, the DDH staff is trained on how to administer your pets medications, but a veterinary technician or doctor will administer all controlled medications, insulin or eye/ ear medications. The Animal Hospital of East Davie has 3 doctors, and 16 support staff in a full service hospital that includes digital xray, surgical laser, therapy K-laser, ultrasound, and full in-house laboratory. Sanitization - We use veterinary grade cleaners, all dishes are washed in a dishwasher, and all bedding is washed after each pet’s stay. 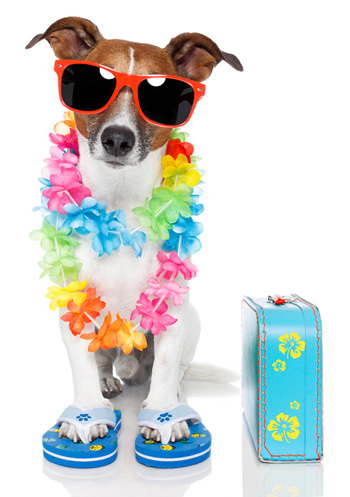 Click here to familiarize yourself with our Boarding Requirements.